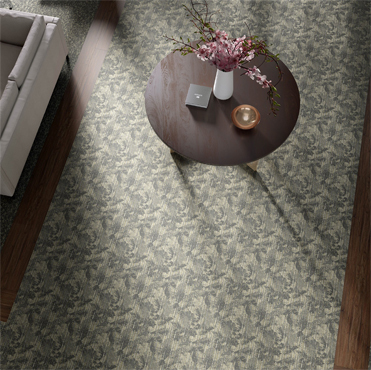 SOLON, OHIO, March 7, 2019 — Tarkett, a worldwide leader in innovative and sustainable flooring and sports surface solutions, announces the launch of a new vinyl composition tile collection, simply named Tarkett VCT. 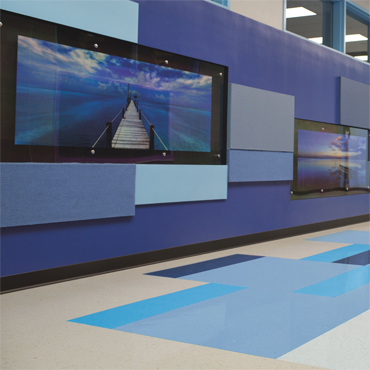 “Tarkett VCT offers the perfect combination of value and longevity. We are excited to bring a new look to the VCT market with colors that appeal to a wide range of segments, including education, healthcare, retail, and more. 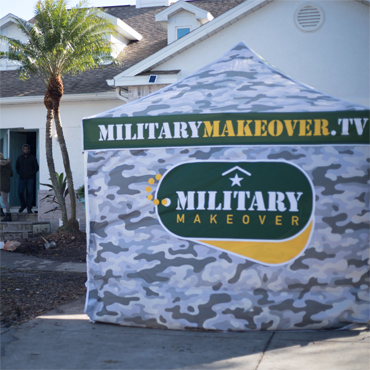 Architects and designers can trust this material to deliver years of wear and tear, while helping keep overall project costs within budget,” said Jim Fleckner, product manager for Tarkett North America. At Tarkett North America, we believe that together, we can make a positive impact on people and the planet. That’s why we’re Doing Good— Together, connecting our sustainability efforts with what our customers value and our world needs. It’s an active, living commitment to create a future where people and the planet prosper in balance. Where sustainable flooring solutions don’t just perform, they inspire. 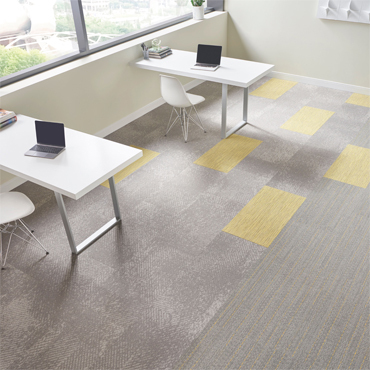 Tarkett believes in placing people in the center of every space. So we’ve developed a portfolio of products designed to work together both functionally and aesthetically, helping you create more productive workspaces that maximize return on investment. The Tarkett Solution SPECtrum™ helps you expertly recommend a flooring platform for the specific needs of every space and every budget. And our full palette of colors, patterns, and textures is coordinated to work together visually across platforms. So the endless balance of function, safety, and longevity is always done on budget, in style, sustainably. Without compromise. With a history stretching back 135 years, Tarkett is a worldwide leader in innovative flooring and sports surface solutions, with net sales of more than €2.8 billion in 2018. Offering a wide range of products including vinyl, linoleum, rubber, carpet, wood and laminate flooring, artificial turf and athletics tracks, the Group serves customers in over 100 countries across the globe. Tarkett has 13,000 employees and 35 industrial sites, and sells 1.3 million square meters of flooring every day, for hospitals, schools, housing, hotels, offices, stores and sports fields. Committed to “Doing Good. Together.”, the Group has implemented an eco-innovation strategy based on Cradle to Cradle® principles and promotes circular economy, with the ultimate goal of contributing to people’s health and wellbeing, and preserving natural capital. Tarkett is listed on Euronext Paris (compartment A, ISIN: FR0004188670, ticker: TKTT) and is a constituent of the SBF 120 and CAC Mid 60 indexes.